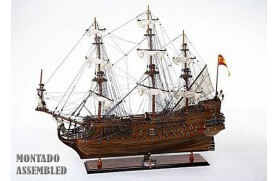 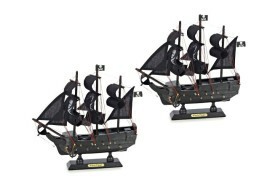 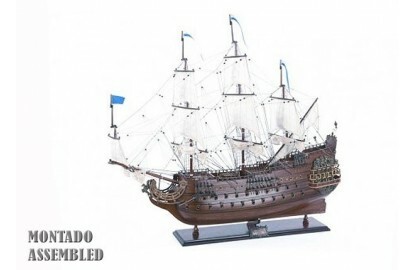 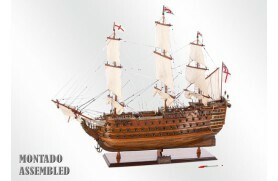 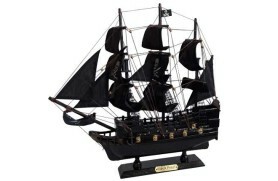 The galleon was the boat used from the beginning of the 16th century. 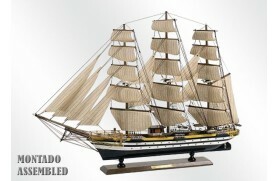 They were powerful and very slow warships that could be used for both trade and war. 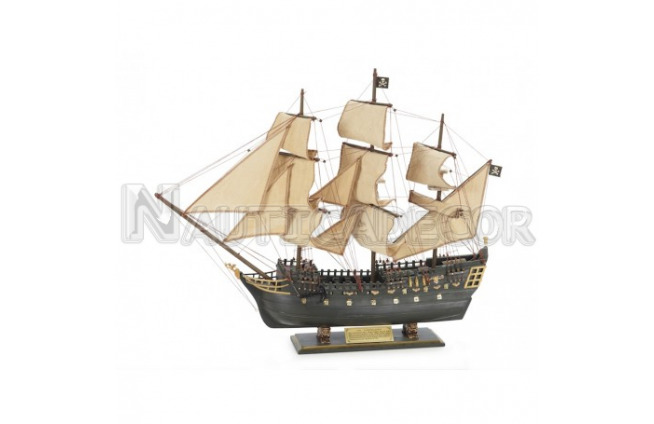 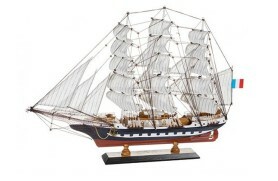 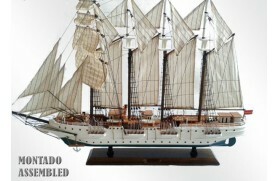 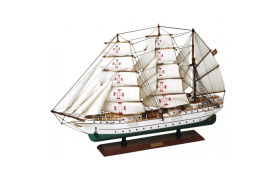 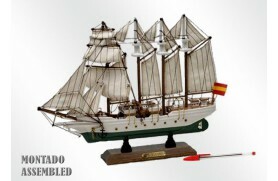 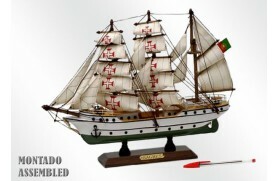 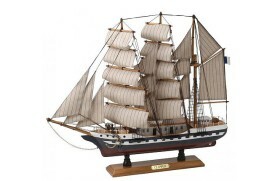 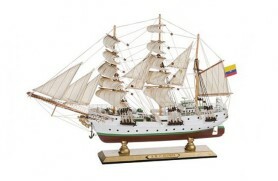 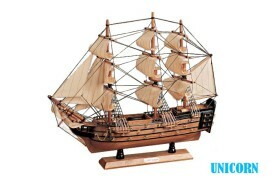 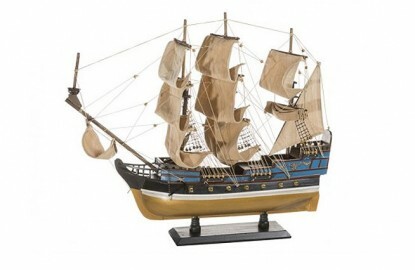 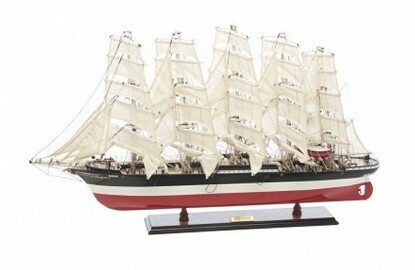 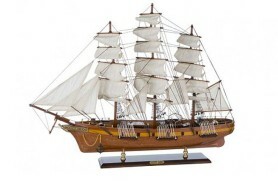 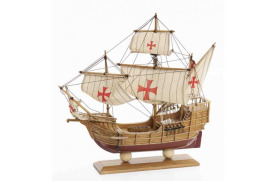 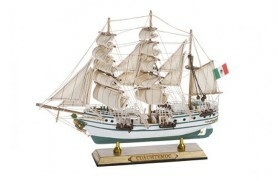 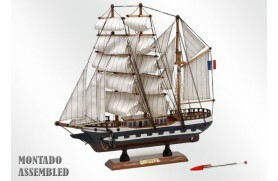 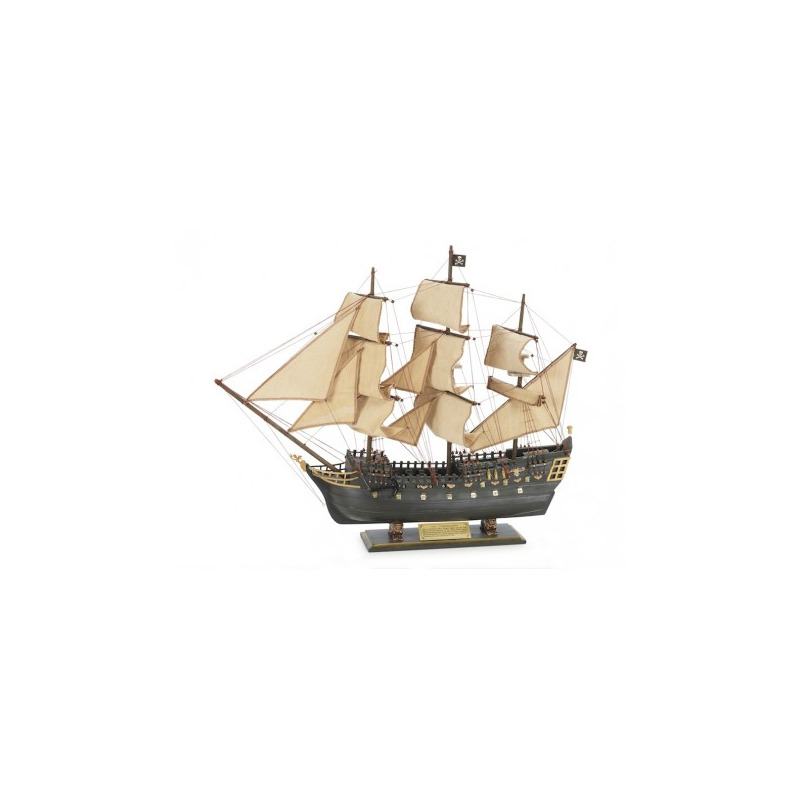 This model is made of wood, painted and completely assembled. 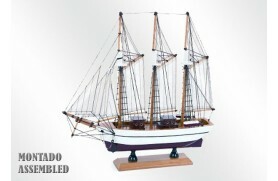 The sails are made of cotton.